I knew I had to feature her as a style icon. 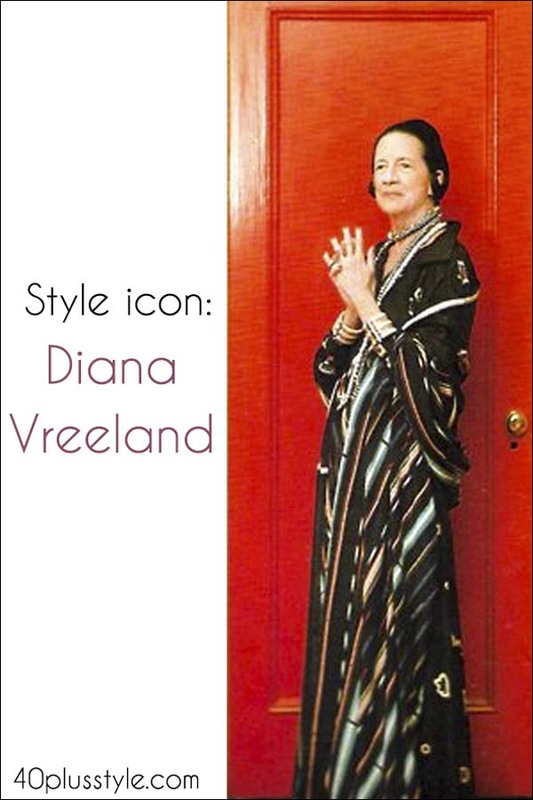 The name of Diana Vreeland comes back again an again in fashion land as she was very influential for fashion in the 1960s. 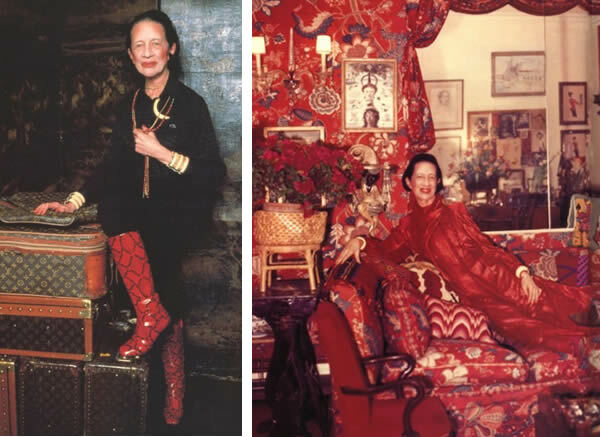 Vreeland, born as Diana Dalziel in 1903 in Paris, was the eldest daughter of American socialite mother Emily Key Hoffman and British father Frederick Young Dalziel. Growing up in affluance she later married the banker Thomas Reed Vreeman with whom she had 2 sons. 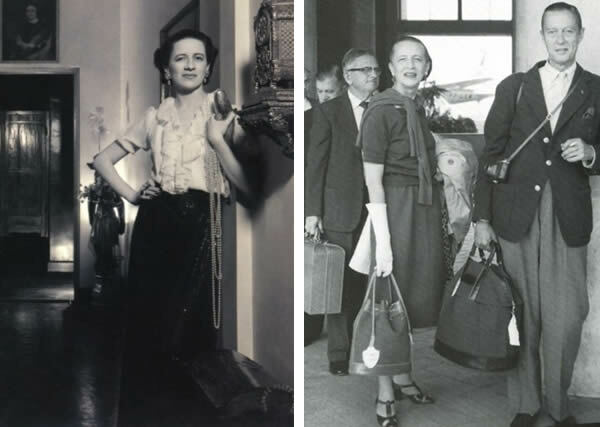 She started her publishing career in 1937 after moving from London to New York as a columnist for Harper’s Bazar. Reportedly she got the job after she was spotted dancing in a Chanel dress by editor Carmel Snow. She wrote a column called “Why don’t you” and is said to have discovered Lauren Bacall in the 1940s. During her period at Harper’s Bazar she worked extensively with famed photographer Richard Avendon who famously said: “She was and remains the only genius fashion editor”. She also advised Jackie Kennedy what to wear during the inauguration of John F. Kennedy and other important occassions and introduced her to Oleg Cassini, who would become her personal designer. They remained lifelong friends. She featured lots of street fashion in her pages and created features that combined fantasy with glamour. She was later fired from Vogue in 1971 (appearantly due to excessive spending) after which she started working for the Metropolitan Museum of Art. 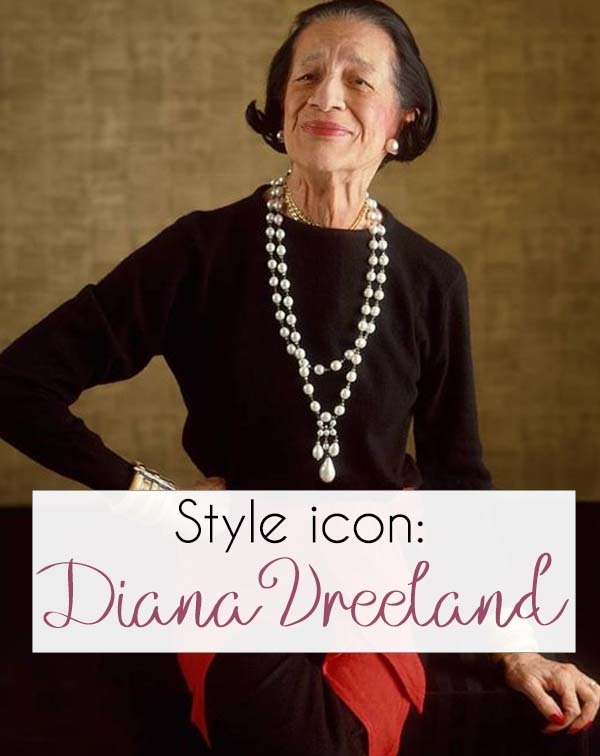 What is style according to Diana? 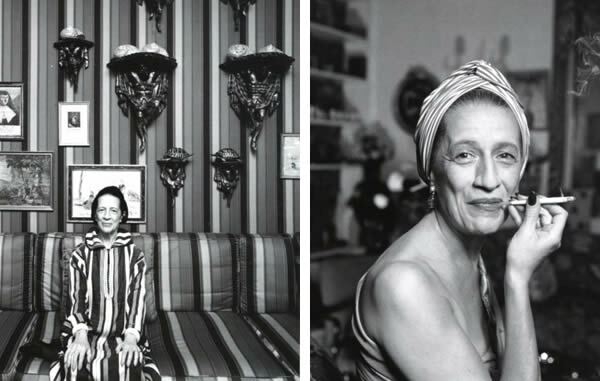 Diana Vreeland died on August 2, 1989, but her memory lives on… You can read more about Diana Vreeland in her outobiography and the book Diana Vreeland by Eleanor Dwight. I presume she is right, but you can improve a whole lot if you are not born with it. Never stop trying. If something has your interest, your passion, you can get a long way too. Some people have innate style, I agree, and the rest of us work years to find what essentially feels right. Thanks for the profile of DV. Thanks for the feedback Laura! I think perhaps another way to say it is that people may be born with latent talents that help them create the art known as “style”, whether it’s a sensitivity to color and composition, or a flair for the dramatic. One can’t necessarily buy these qualities, so in that sense they’re “born” with them. But they also say, beauty is in the eye of the beholder. One man’s style may be another man’s poison. I say, have fun. I agree! The first quote is certainly a lot more inspirational. Love this article, Sylvia! DV was such and amazing style innovator who influenced so much in fashion. She was steadfast in her vision and stuck to her guns when she believed in a concept. Of all the style icons out there, were she still alive, DV is the one that I would love to chat up for hours and soak up her perspective.